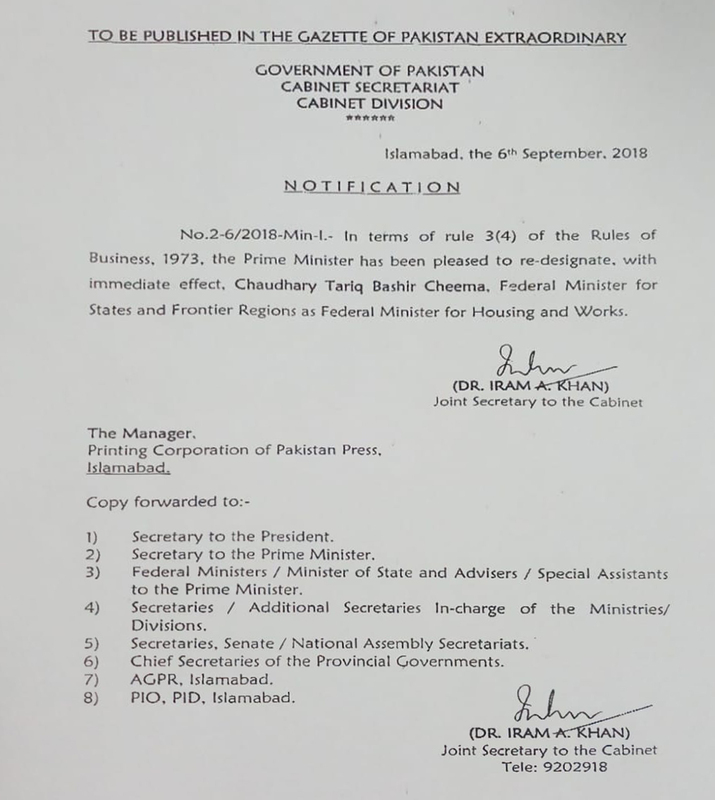 Prime Minister Imran Khan has re-designated Federal Minister for States and Frontier Regions Chaudhary Tariq Bashir Cheema as federal minister for housing and works. Cabinet Division Joint Secretary Dr Iram Khan issued the notification in this regard on Thursday. 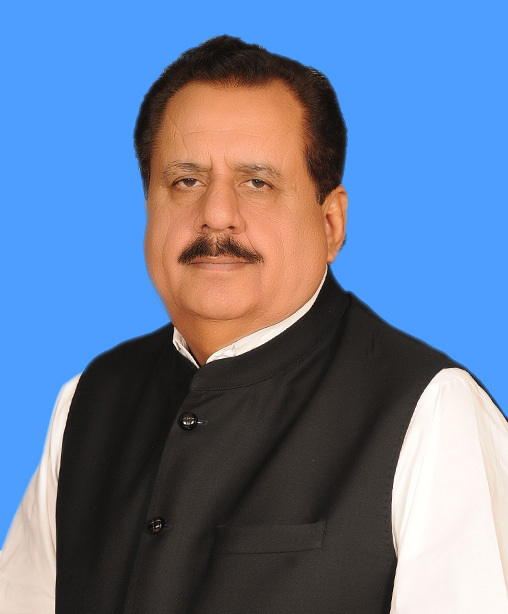 PML-Q MNA from Bahawalpur Chaudhary Tariq Bashir Cheema had taken the charge of States and Frontier Regions on August 20. Cheema is a seasoned politician and belonged to an influential family of Bahawalpur and also was a member of National Assembly in last assembly. His political career dated back to the late 80s from the platform of student wing of Pakistan people’s Party. From general elections 1990, he started his electoral politics with a seat for provincial assembly.